Abstract—As a lot of cloud computing platforms are being developed, the number of cloud computing platform is increasing rapidly, with various forms. Therefore, collaborative integrated development is necessary for the entire cloud computing ecosystem to establish and enrich. Therefore, the vStarCloud is proposed, which is a cloud computing operating system architecture based on the idea of distributing and layering. This paper introduces a method of the deployment and implementation of MapReduce application based on vStarCloud, and the feasibility of vStarCloud will be verified by experiment. Also, the performance of MapReduce with Hadoop will be compared. Index Terms—vStarCloud, MapReduce, cloud operating system. 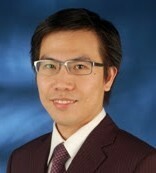 Zhu Lei is with the Jiangnan Institute of Computing Technology, Postgraduate, Wuxi, China (e-mail: 3613807@ 163.com). Yin Hong-Wu is with the Jiangnan Institute of Computing Technology, Senior Engineer, Wuxi, China (e-mail: 13812092679@139.com). Cite:Zhu Lei, Chen Zuo-Ning, and Yin Hong-Wu, "MapReduce Implementation Based on vStarCloud," Journal of Advances in Computer Networks vol. 1, no. 3, pp. 162-167, 2013.